One of the best mages around. His videos were simply some of the best for learning maneuvers and strategy. Endtime started playing this game in mid-December 2009. He was one of the most experienced & well geared players out there. This guy was incredibly smart: knew exactly how the class worked and played it to perfection. It was extremely hard to get wins against him because not only did he have a great build, but he also had strategies for every build out there. Plus he heal looped like crazy, not a single health booster wasted. At level 30 he had discovered the healer mage build. Some memorable highlights: (I managed to keep tabs on a lot of old forums posts) -He discovered the reroute, deadly aim, and malfunction from .Angel. (a former 2v2 all-timer). -The first top player he saw was Sparticus, who at the time was using a utility claw, high smoke screen/massacre build. -The first top level player he beat was Gamal. -Endtime was actually in THREE STARS AND A SUN--the top faction at the time--Until he was informed of the 100 kills per day rule. He was too busy with real life for this. Eventually he met Deboise. When he talked to him, he let him join Brotherhood and he has been there since. -He was insanely unhappy when Field Medic was set to 4 cooldown and agility was enforced. -Played as a support TLM until a future update. I was in a Faction called Brotherhood with Endtime for a long time. It was founded by Deboise and it was one of my favorite factions back in the day. Thanks for some great memories! I remember when Deboise made your faction title "THATS WHAT SHE SAID" I didn't know what this meant at the time because I was pretty young, eventually it lead me to watching the Office. This guy was amazing. He had three different accounts with insane win/loss ratios (I think like 4-5 times more wins than losses in 2v2) and even better in 1v1. He always made insane builds for all classes in Beta/Gamma and would go on insane battle sessions winning huge amounts of fights in a row, usually only losing to bad luck. I was a big fanboy of him and even added him in Delta, that made me so happy. I'm in his Caster Mage Battles video from Delta where I got him down to 4 hp at 46 health before he plasma raged, since I had an insane resistance CH tank build and spammed level 1 EMP. The fight also contains me fanboying him like the little kid I was. 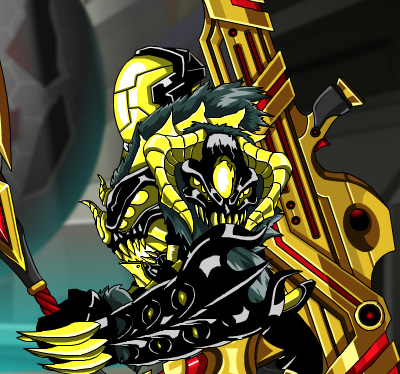 His youtube channel is Ysrome and I suggest checking it out if you want to see some awesome EpicDuel pwnage in the good old days. I also forgot to add that this guy was so good that he would Juggernaut before juggernaut was a battle mode. If you want to see; search Ysrome 1v2 and Ysrome Early Juggernaut on youtube and you'll get the videos. There's almost (maybe even) 10 videos of him doing this. Some of them has many 1v2s in a row, too. He also had amazing music taste and if you saw him on the daily leaderboard he likely had 100% win/loss ratio, at the worst almost 100%. There's also a video called Ysrome Underdog Team Battle filled with very unfair 2v2s in his opponents favor where he yet manages to pull off wins, you just rarely see players yet alone videos like this anymore. In these videos he used very tactical 5f/support builds, he was never cheap in how he won. His builds required skills which he had more than enough of.